Here is an Old Boys Newsletter for June 2014 covering the 60th Anniversary celebrations. 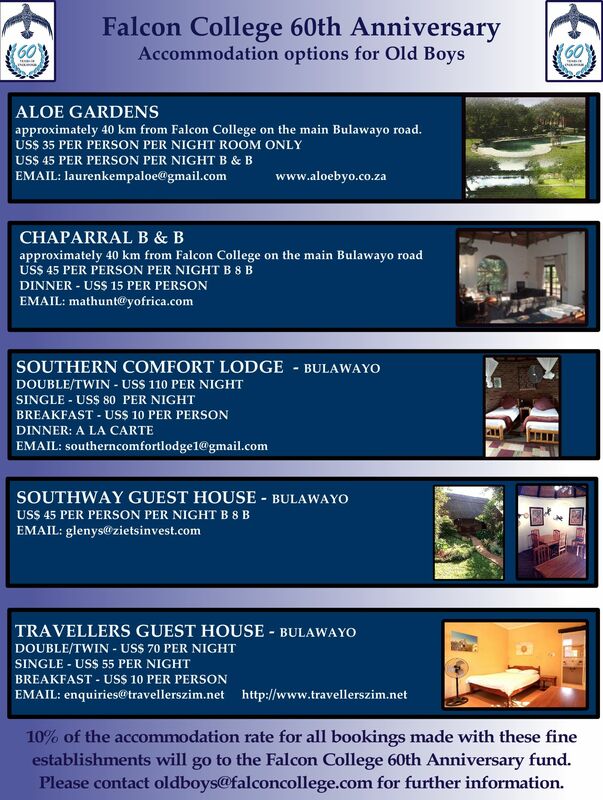 Here too (below) is a collection of accommodation options for FOBs planning to attend. It would be really nice to see a summary of how the 60th anniversary weekend went, and some pictures too? If you would like to re-read all those copies of The Falcon Magazine, you'll find them on this page.